Stand-alone release of the soundtrack. 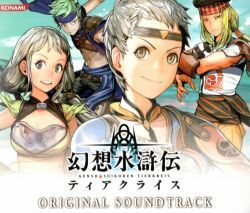 3CD+DVD soundtrack included in the Konami Style release and Special Set of Suikoden Tierkreis in Japan. Disc 3 is labeled "Additional Disc"